When I think of my life and my career, I can't help but recall all the different roads and rivulets I had to take to get to where I am. Today, I am a sound designer and sound effects editor on staff at Burbank post facility, Monkeyland Audio. Though I am satisfied with where the journey has led thus far, the path to "here" was by no means a smooth and easy one. Like all life journeys, I took many "wrong" turns, made several less than fruitful decisions, encountered many disappointments, and faced a number of unforeseen difficulties. Of course, there were many good experiences along the way, but it was those moments of insecurity and misfortune that served to define me and challenge me to make the hard choices that brought me here... whether or not "here" is where I wanted to end up. During those dark, contemplative moments, though, I would often remind myself of the important lesson learned while reading the works of esteemed author, Paulo Coelho: When you want something, all the universe conspires in helping you to achieve it. A wonderfully positive statement no doubt, but one whose implications must be carefully thought through while setting your mind on a goal. Life will twist and turn to get you where you wish to go, but sometimes the path which lies before us will first lead in unwanted or unexpected directions. We must be ready to face all the challenges inherent in reaching our goals if those goals are worth reaching. More often than not, the journey towards achieving one's dream is shrouded in uncertainty and cloaked in confusion, as Santiago experienced first-hand in "The Alchemist." But Santiago stumbles upon something of great value along the way, a concept that I have learned to apply to my situation daily. The concept is that of one's Personal Legend. The Legend is the individual path that each one of is has been graced with, a path filled with great obstacles and great rewards, difficult challenges and victories, disappointment and love. It is a sacred path; is ours and ours alone and we must cherish it. In choosing to discover and accept one's Personal Legend, one must also accept the fact that there is no single, straight or safe direct line leading from desire to intended result. As the universe bends in your favor, you must immerse yourself into whatever situation is presented before you (be it a promotion or new job, unemployment, gaining an inheritance, bankruptcy, going on holiday, returning to school, losing one's wallet, etc. ), learn the important lessons that each particular scenario presents, and make the newly gained knowledge, skills, traits, insight or experiences part of one's arsenal. One will then be better prepared to navigate the rough waters of the next leg of the journey en route to the desired goal. 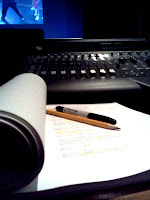 My career did not begin in audio post production, but rather in story development at the independent production company level. I wanted to be screenwriter and tell cool stories. I spent several years in the late 90s reading tons of scripts, giving constructive notes to the writers and helping them tighten their written works through several rewrite stages. However, after a number of years of hashing it out, I found myself becoming jaded by all the BAD scripts that crossed my desk, and my passion for trying to tell a good story was greatly shaken. So I shelved my dream of story development and screenwriting and turned to another passion of mine: music and sound. Good timing too, because the production company I was working for at the time began a round of layoffs and I was caught in the shuffle. I started audio engineering school and within a year, I had completed an internship with Monkeyland, where I was soon offered a job working in the machine room. A few months later, I began cutting sound effects and foley, as well as shooting ADR. 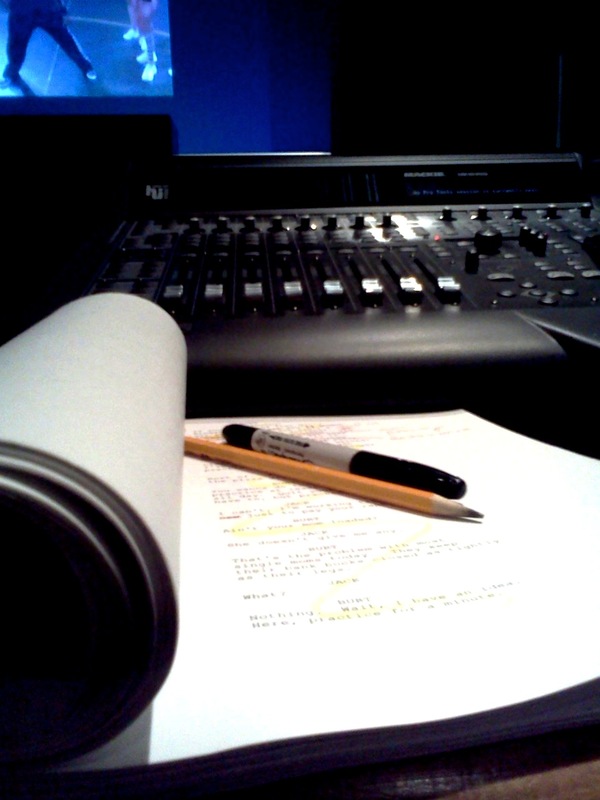 Coincidentally, this new career reinvigorated my love for telling stories, and as a sound editor and designer, I was presented with a wonderful opportunity to enhance stories by creating mood, tone and tension through sound. As a bonus, I am able to fully incorporate my story development skill set and talk shop with the directors and producers who grace me with their projects. I am fully thankful and euphoric that my Personal Legend has allowed me the chance to enhance the Personal Legends of others. Though I try to be truly conscious of myself and my life, I can't help but wonder about a few things: At what point does one recognize that his or her own Personal Legend has bloomed into fruition? Is being a sound designer/sound editor really my ultimate calling in life? Was I meant to tell stories through sound, or did I have to venture into sound in order to grow in dimension as a screenwriter? Or is there something more? What if my passion for storytelling is just another means to reaching some yet-to-be-revealed true calling? Truly mind-boggling! Yet, in any event, one thing remains a constant: I must work consciously towards filling the needs of my Personal Legend. I must continue to learn lessons at every level, hone new skills, develop new traits, expand my circle of influence and be aware that every step is a test. Thank you for reading! A big obrigado to Mr. Paulo Coelho for following his Personal Legend and sharing his quest with us. May we all find, accept, and follow our own Legends, and may we find inspiration from each other and from within. I read an article recently that kind of goes along those lines. It's called, "The Sad Beautiful Fact That We're All Going to Miss Almost Everything." Here's the link. Thanks Owen for that article. Quite enlightening!